How is it that some things just hit you so hard. I’ve been trying to write a few posts on our repatriation experiences and just now I get an email from a friend telling me that a sweet sweet boy we had known has died. He was HIV positive and was left as a small child to crumble away in a government hospital. I cant remember exactly how he found his was to Nareshwadi, a rural boarding school my friend Stacie was working with, but thankfully he did. She was doing a health program there and after multiple illnesses it was discovered that Kuldeep was HIV+. I remember doing so much research on kids with HIV and how we could help this little boy. 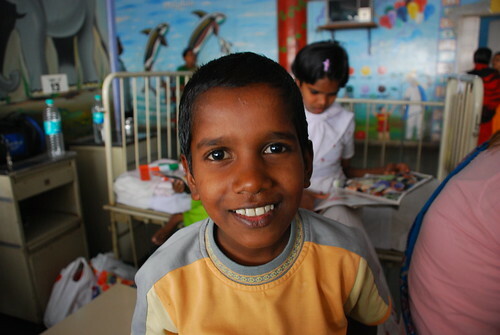 I had no affiliation to Nareshwadi, but this little boy just melted my heart. It was January 2008 and Kuldeep was at KJ Somaiya hospital. I don’t remember what exactly was wrong with him, but he was sick and the hospital didn’t have the medication he needed (I vaguely recall that it was adrenaline), so Stacie myself and Paul drove all over Mumbai from chemist to chemist looking for this medication. All I remember is that he would die if he didn’t have it. No one else seemed to be that bothered, but we couldn’t stomach the thought of him needing this medicine and not having it. We finally found it at a chemist on the other side of town. Stacie was driving her boyfriend’s car and it was crazy traffic because of some festival perhaps. We all felt this great sense of urgency, but no one else in the whole of Mumbai felt it and they just carried on with their day. That’s how life was in Mumbai. Life just went on, no matter what. People live and die every single day there and to the city, it was no great cause for rushing. It breaks my heart that he didn’t win his battle. He was doing so well and thriving at the school. I could barely recognize him in a recent photo. I don’t know the story about how he died or what happened, but at least I know that he did get an extra 5 years since that day in the hospital where he melted my heart.